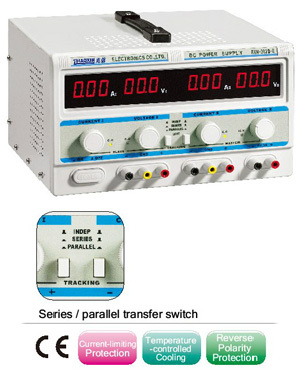 A power supply with two adjustable 0-30V/0-10A outputs and one fixed 5V/3A output. 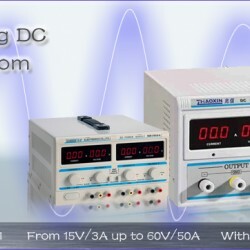 The two 0-30V outputs can be combined in serie to 0-60V/0-10A or parallel to 0-30V/0-20A. 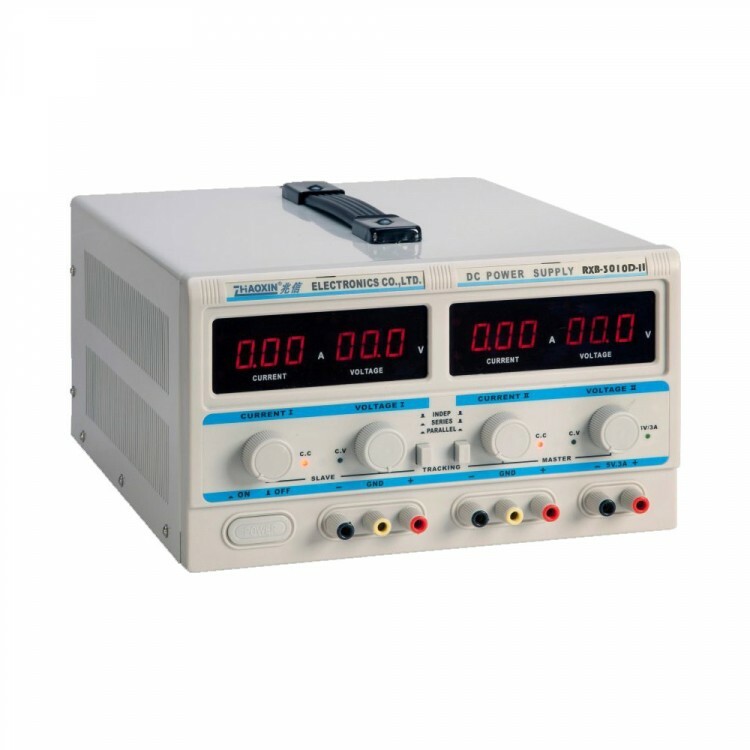 With this device you can power your MCU, motors or other circuits current controlled with different voltages at the same time. 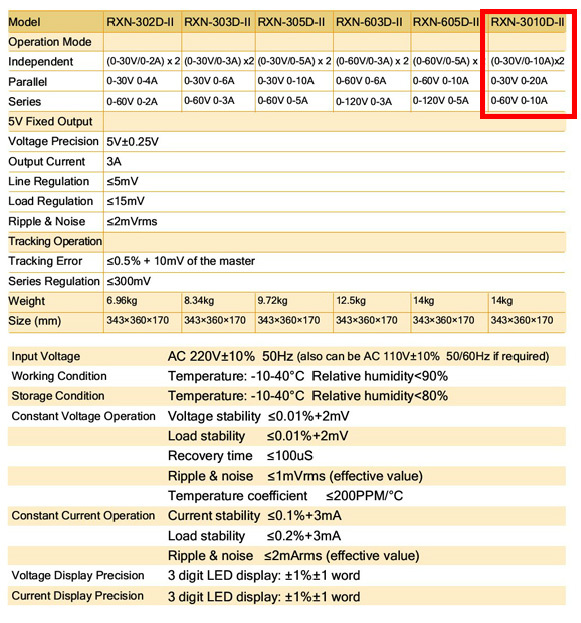 The big red display shows you precisely what voltage and current you have set, while the fast reacting current limitation protects your precious circuit against being destroyed. For more information, specification and function please check the link(s) below.